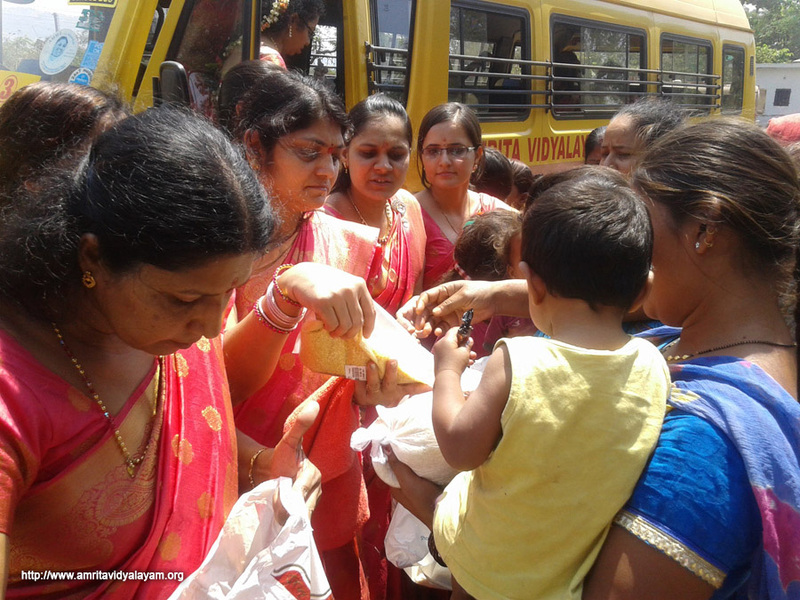 Sevamritham – Students of IV A contributed rice, toys, books, clothes, etc. which will be used to help the adopted families under Sevamritham. 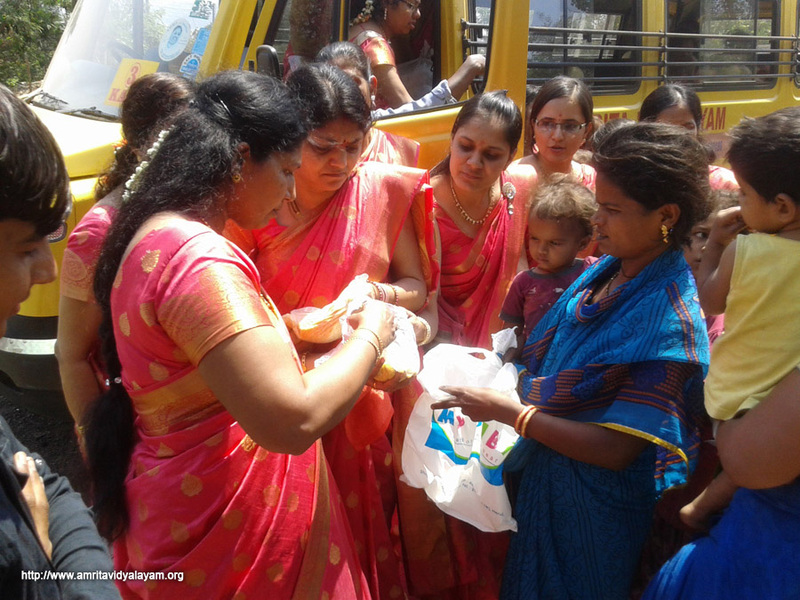 On March 16th, after celebrating Guru Paduka puja at school, teachers went to the slums and distributed rice, dal, food packets containing puri and sabji, juice, biscuits, chocolates, clothes, bags and shoes. ‘Sealing of Desires’- Teachers and students are continuing to contribute towards ‘Sealing of Desires’ generously, and the money was utilized to provide necessary items for 3 families. 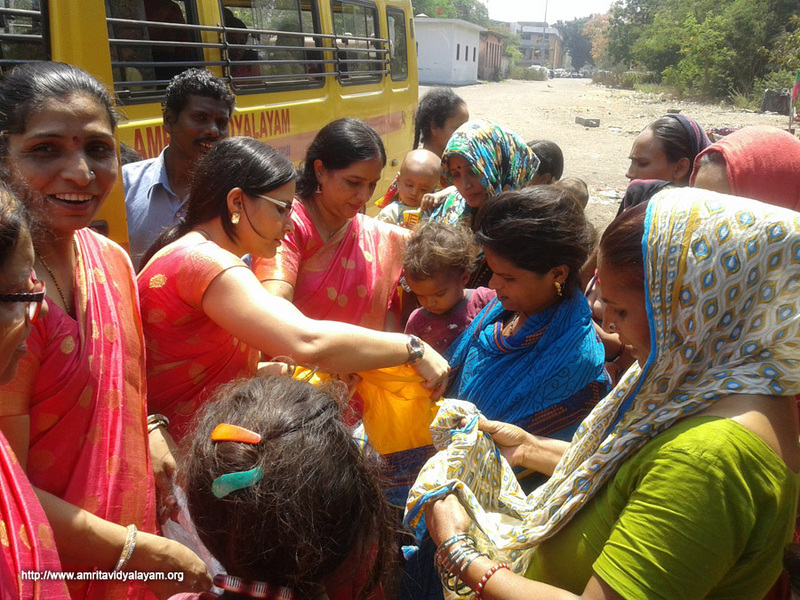 Bhootayajnam – Students from pre-primary to Std. II bring grains like rice, millet and jawar to feed birds on Mondays. The birds have made it a practice to come in the morning to happily feed on the grains and drink water from the earthen pots. 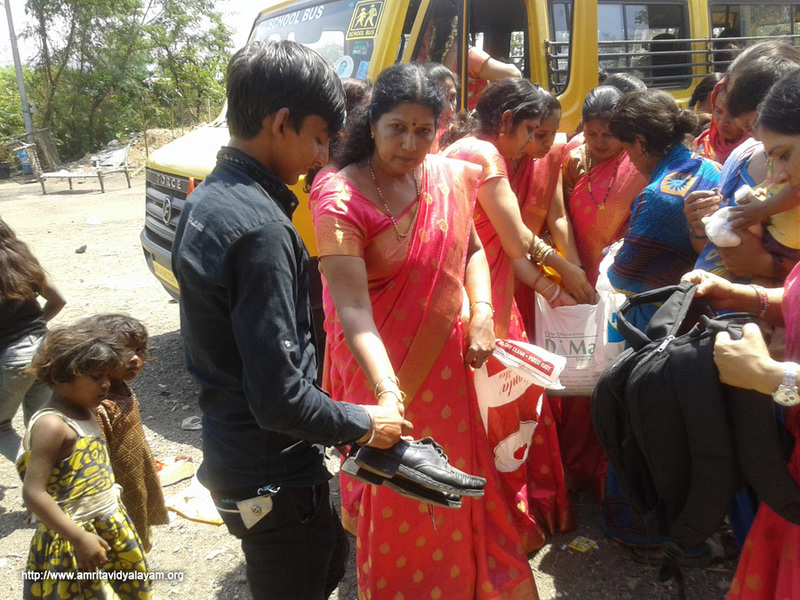 Snehamritham – Students have been very kind and thoughtful enough to bring items such as rice, clothes and toys on their birthdays. Amrita Katha – The values observed for the month were Sacrifice, Co-operation, Confidence, Bravery, Positive Attitude and Courage. Students narrated stories based on the lives of Sivaji Maharaj, Mother Theresa and Amma.